No Lawyers - Only Guns and Money: There Are Felons In Possession And Then There Is This! There Are Felons In Possession And Then There Is This! 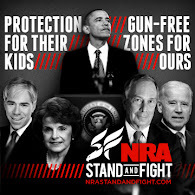 It is against Federal law and most state laws to be a convicted felon in possession of a firearm. This would include possession of ammunition. Usually when a criminal is charged with being a felon in possession it is because they had used a firearm in the commission of another crime. Then there is Manuel Fernandez of Agua Dulce, California. Fernandez had been convicted of a felony in February 2017 but was released in August. He had been sentenced to 486 days in jail on unspecified felony charges. Fast forward to June 14th. The Los Angeles Sheriff's Department acted on a tip and raided Fernandez's home outside of Palmdale. The tip said Fernandez had "an arsenal". Normally, in California terms, that meant he had a Marlin Glenfield 60, a Ruger 10/22, and maybe a semi-broken revolver along with a couple of boxes of ammo. In this case, I will freely admit that Fernandez did indeed have an arsenal by any stretch of the imagination. The sheriff's raid initially netted 432 firearms. They then got a warrant to search another house of a "female friend" a mile away and got another 30 firearms. However, they were not done. Returning to Fernandez's residence, investigators found another 91 firearms hidden throughout the house and property. This brings the total to 553 firearms. In a quick scan of the photos, I see Mosins, Swiss K-31, Mausers, etc. He was an equal opportunity felon in possession it seems. The Bureau of Alcohol, Tobacco, Firearms, and Explosives is working with the LASD to trace these weapons. Investigators also seized computers, hard drives, and cell phones that they thought might have been used in Fernandez's illegal firearms purchases. Fernandez has been charged with being " Felon in Possession of Firearms (129800(a)(1) PC), Possession of an Assault Rifle (32625(a) PC, Felon in Possession of Ammunition (30305(a) PC) and Possession of Large Capacity Magazines (32310(a) PC)." Believe it or not but Fernandez was released on bail the next day which I have confirmed through LASD records. Fernandez appears in court on July 9th on these charges. I'm going to guess that if Fernandez is convicted he will serve more than the 486 days his first felony conviction was supposed to bring him. 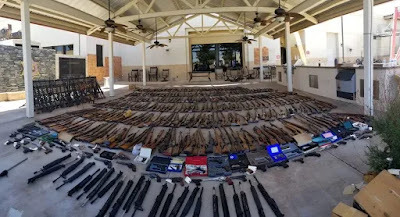 Unless they were all immediately functional, I wouldn't call that an arsenal, I'd say that's a hoard. An arsenal you should be able to fire each one consecutively after the minimal time it takes to load each first round. I think that's the biggest "junk on the table"-style photo session I've ever seen. Also the most impressive. The guy definitely seemed to have a preference for long guns, and that's cool. My safe is the same way (but with much, much less quantity). Does the count of 553 guns not include the (looks like) 24 upper receivers seen in the foreground without lowers that aren't guns? I'll bet they called them guns. I'd also add that he appears to have been a collector (albeit a bit weird). Not your typical gang-banger weapons. I think we can also assume that if he was just convicted last year he didn't get those all since the conviction so probably just didn't get rid of his collection. 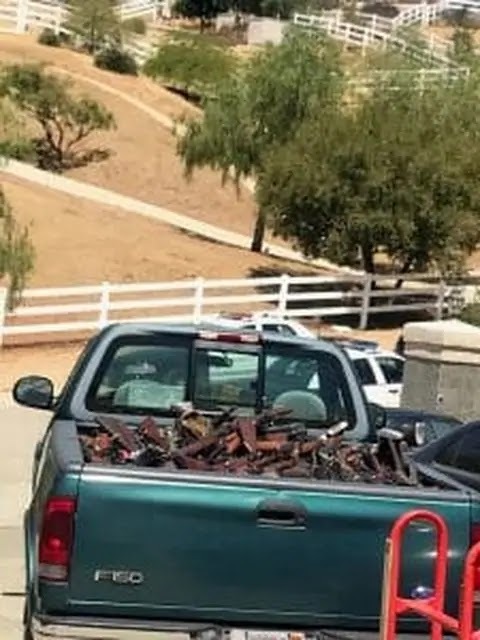 In California, those guns will probably all be destroyed. Sad. I also wonder what his felony conviction was for. As I understand it, arsenals manufacture arms whereas armories store them. However, this may qualify as a hoard. I refer to my stuff as an 'accumulation' because I have neither the budget nor the refinement to call it a collection. Any word on purchasing from the sheriff's office? I am only half-kidding. It's California, Dan. I can almost guarantee that they will be destroyed.